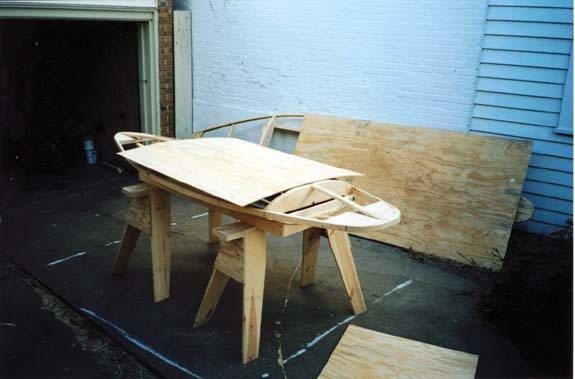 Attaching the plywood to the ribs of the Hummer is easily accomplished by following the instructions in the plans. Be sure to follow the instructions on proper nailing order to prevent forming an unintentional "bulge" somewhere! 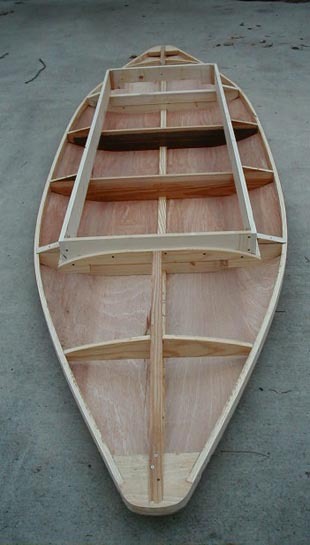 If you plan to completely coat the inside of your boat with epoxy, it will obviously be necessary to apply it to the bottom of the ribs and the bottom of the keel before you attach the plywood. Turn the boat upside down and coat the bottom of the ribs and the bottom of the keel with epoxy. 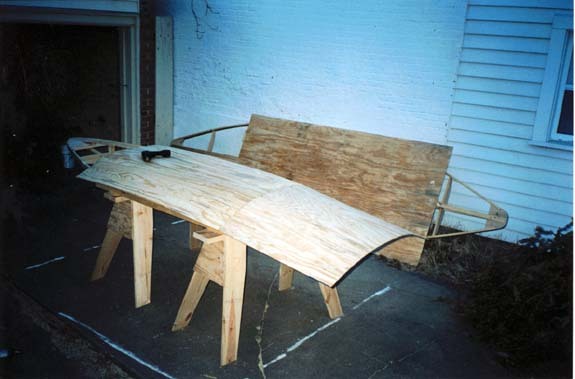 Measure the first piece of plywood that you have cut for the bottom, and coat it well with epoxy in the areas that will be attached to the keel and ribs. When you have finished attaching all the plywood to the bottom, you can coat the entire inside, but make sure that you first epoxy under the ribs and keel.